Our hair is a major part of how we present ourselves, and part of who we are. For many of us, it’s what we spend most of our prep time on in the mornings, it’s also what we spend our money on! It can affect us greatly when we have unhealthy hair, which can happen for a wide range of reasons. 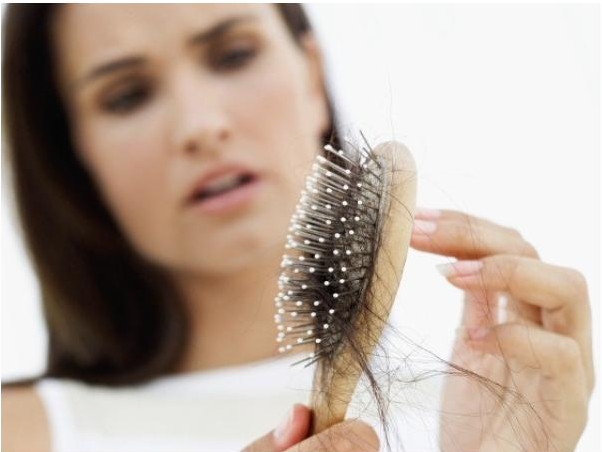 Brittle hair or Hair loss can be signs of stress or any lack of certain vitamins. Generally speaking, good nutrition will result in healthy hair and nails. Protein is a must to have healthy hair, so drink milk, eat yogurt, curds, beans which are rich in and helps to reinforce the hair. Hydrating is also important, so drink lots of water (great for your skin too!). As mentioned earlier, hair loss is one of the most common issues among both women and men. Hair loss can be the sign health issues, stress or just a lack of the right vitamins and hair or low Keratin production. B-6 and B-12 are those vitamins which could be increased. Stress can also play a part in Hair loss, so maybe you could consider taking some time out to relax and slow life down a little. Having greasy hair is very unpleasant and a lot of people have problems with it. There are some home remedies which can help reducing the level of greasiness. Ensure that you are washing your hair regularly with a proper shampoo (maybe ask your hairdresser for recommendations). An egg yolk and honey mask can also help. Egg yolk and Honey Mask: Take 1-2 eggs (depending on your hair length) and separate the yolks. Mix the egg yolks with 2 spoons of honey. Use the mask on your hair by covering the whole scalp area as well as possible. Wait for 30-40 minutes and then wash your hair thoroughly, rinsing a couple of times. You can then rinse your hair with lemon juice to give it that extra rinse. Nuts and seeds: Try snacking on some seeds and nuts. They contain essential fatty acids that can pop that sheen right back into your hair. Avocado and banana: Mash a little overripe banana and avocado together, spread in your hair, and leave it there for up to an hour. Then rinse with warm water. Mayonnaise: You’ll need the full-fat kind, not a diet or low-fat version. Slather 1 tablespoon or so onto your hair, rub it in down to your scalp, then cover with a plastic cap and wait about 30 minutes. Rinse it out thoroughly or you’ll be craving tuna salad the rest of the day.